Small claims mediation fees are based on a two party dispute and are per party for the instruction and appointment of a mediator. A small claims mediation can be conducted over a half-day [4-hour] meeting or remotely by telephone and email. 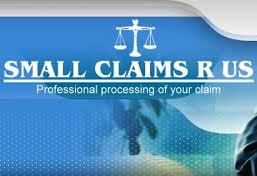 Half-day small claim mediation do not include, if appropriate, venue costs. For further information regarding fees and venue costs please contact the small claims mediation team or email admin@alphabetamediation.co.uk or telephone 020 7383 2067. Fixed small claims mediation fees allow for a 4-hour mediation. If the mediation runs over 4-hours there is no overtime fee up to 0.5 hour. Thereafter overtime is charged at the standard hourly rate. Small claims dispute can be legally assessed by one of our in-house lawyers. For a legal overview of your small claims dispute please contact info@alphabetamediation.co.uk or telephone 020 7383 2067.